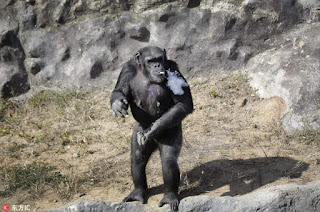 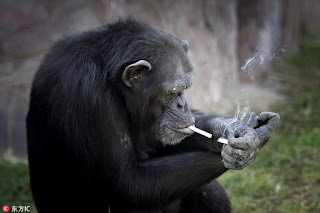 Meet the chain-smoker chimp that has stunned Pyongyang! 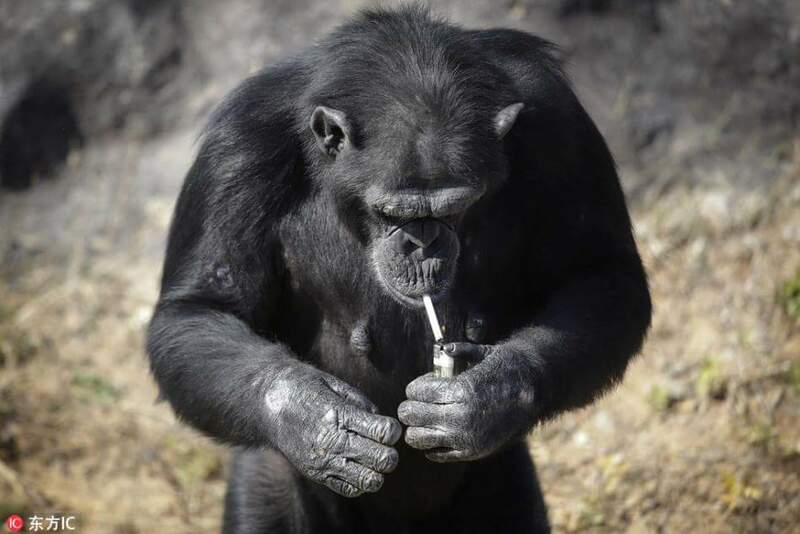 Dalle, a 19-year-old chimpanzee from the central zoo in Pyongyang, DPRK, has a favorite pastime: taking a puff. 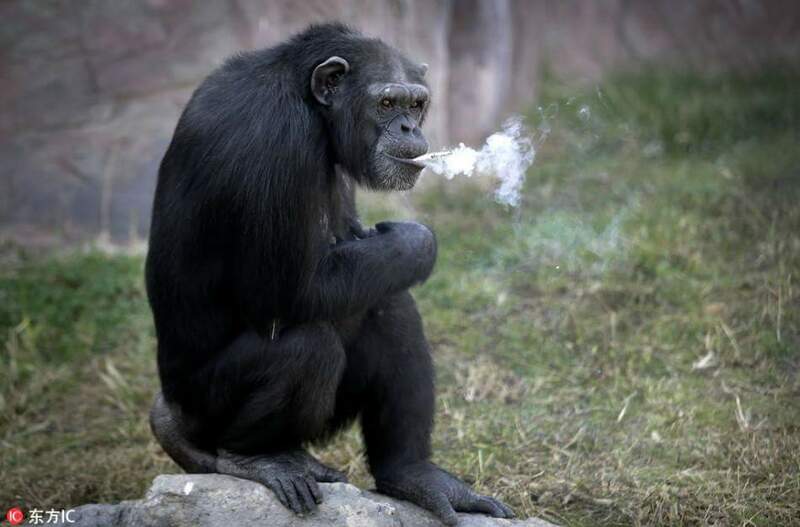 The female chimp has a serious smoking habit, going through one pack each day, and she even knows how to light a cigarette with a lighter!